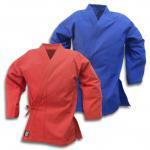 The 12 ounce gi is good for people who need responsiveness in their gi, especially in kata. Looking to compete in tournaments? This is a great way to go. When ironed and pressed, the jacket top of a 12-ounce Heavyweight Student Uniform looks great. 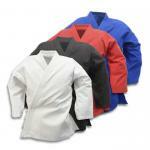 Many practitioners keep a heavy weight karate jacket just for official events or gatherings.